At 78, most pensioners are reliant on the glasses to even read a newspaper. 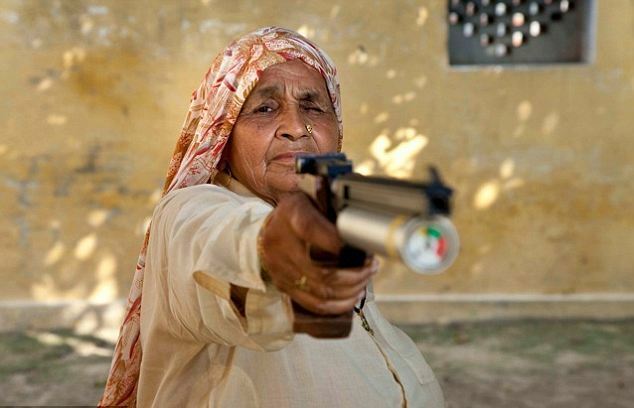 But this is not the case with Indian grandmother Chandro Tomar. 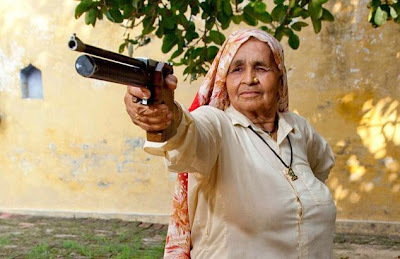 With a £1,200 pistol in hand, and her sari draped over her long silver hair, it's believed that she's the world's oldest female professional sharpshooter. Almost ten years ago Chandro took her granddaughter to a local firing range in Johri village, in Uttar Pradesh, India. 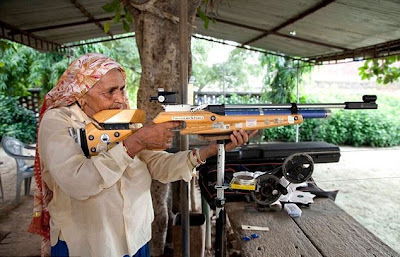 She wanted to learn a new skill but was too shy to go alone. In the end it was Chandro who was welcomed into the club with open arms. 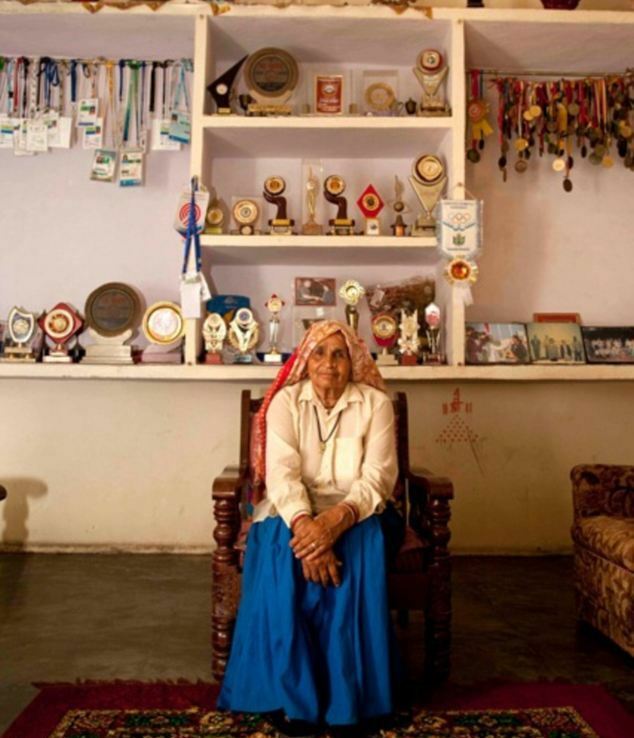 Now she has entered and won over 25 national championships across India as well as raising six children and 15 grandchildren. 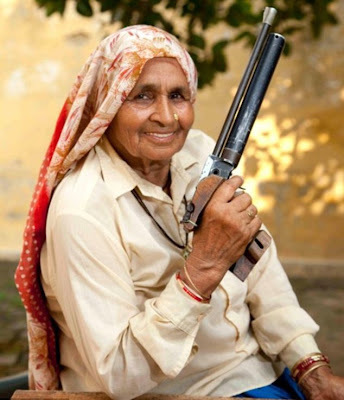 While Chandro tended to her daily chores on her farm and raised her family, she practiced her aim whenever she could using stones and throwing them at water bottles. But her biggest fan is her daughter Seema, who is also an international shooting star becoming the first Indian woman to win a medal at the Rifle and Pistol World Cup. Chandro had an experience with the police herself, proudly beating an Deputy Inspector General (DIG) of Delhi police at one competition. And now she's a national treasure, known throughout India for her skill, even winning gold at the Veteran Shooting Championship held in Chennai. 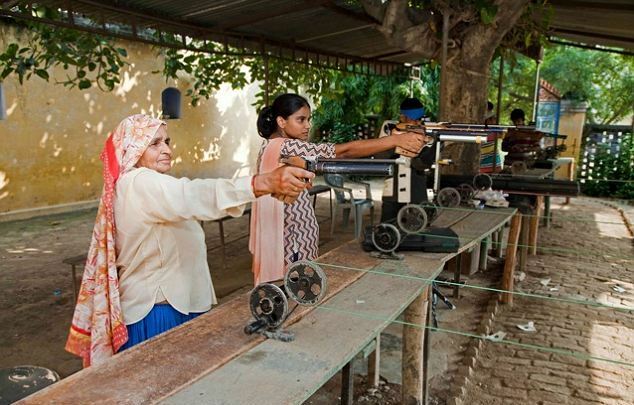 But medals or no medals, life at home never changes for Chandro and she still cooks, cleans and cares for her family, making sure dinner is served before firing some bullets down at her local range and helping to carve out future success stories from the club.